“Roger, Houston. I have deployed the iPhone. Tim is back in studio to talk about his recent space adventures. We also have a special guest from NASA’s Ames Research Center to talk about the role you can play in the NASA CoLab website. 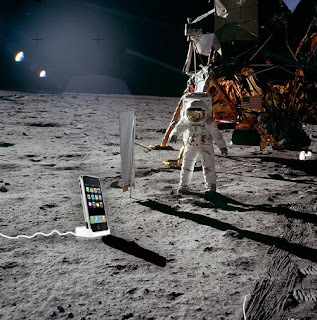 My big question this week is – what if they’d had an iPhone during Project Apollo? Would we already be on Mars? That and a Shuttle Launch Experience on this week’s SpaceTaskForce.